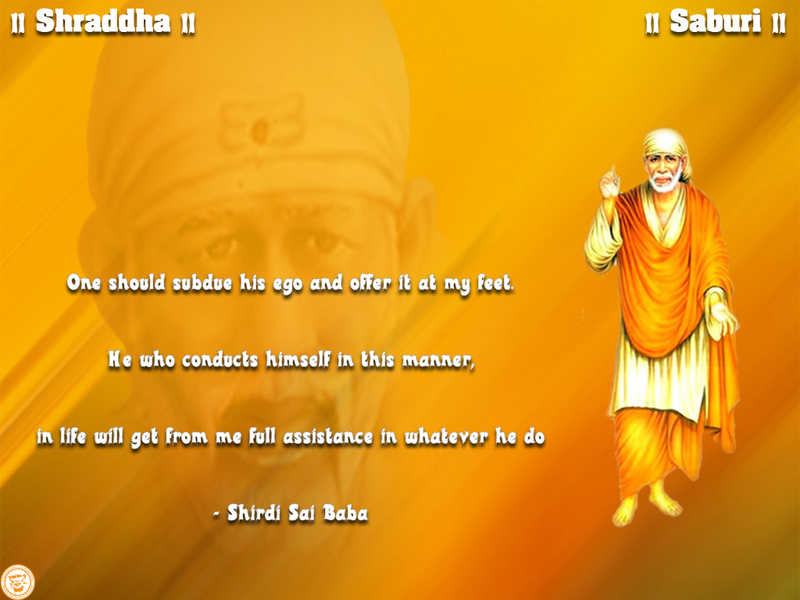 Sometimes Lord Sai Baba makes us instrumental in big cause which we may not have even dreamt of. But fortunate souls are called for such deeds and below couple has been very much fortunate. Anonymous Devotee from New Zealand says: Baba is kind and He listens to our heartfelt desires. At times, He gives us memorable moments by His grace, and that become our treasures for life. Also, I know, for Baba all His children are same, whether you stand in a crowd and chant His name or stand in front of His idol and carry out various ceremonies. But still human beings being week and restless by nature, look for special experiences that are different from their fellow devotees. And look at Baba’s kindness, He grants such wishes of His children so many times. Recently I and my husband had a wonderful experience too, which I would like to share here with everyone else and while doing so I pray to our Baba that He gives such golden moments to all His children and bless them with His love and kindness. Dear Hetal Ji, it’s my request to keep my identity (Name and Email ID) as anonymous and kindly post this experience in your blog. Many Thanks for giving us all a place to talk our heart out about our feeling for Baba here. We have recently moved to Auckland, New Zealand. We were eager to go to Baba’s temple after reaching here. To our disappointment, we came to know that there is not a Baba’s temple in Auckland yet. However some devotees assemble in a hall for couple of hours on the Thursdays and sing Baba’s Bhajans and Aartis. Before writing further, I also want to mention that we were searching for a way to get Baba’s statue for our new home temple also. We were planning to get from India. But we were not sure how statue would be handled on the way. So we were unsure about this whole thing. We went to the Devotee’s Assembly the following Thursday and it was a small place, but quite calming and soothing. A thought crossed our mind that we may check with the organisers if they could suggest a way for us to get Baba’s statue for our home temple. To our surprise and by Baba’s grace the organiser said, they have a few statues from which we could choose. We were so happy. We chose one of the “Murtis” and joined the devotees in the hall as it was time for Shej Aarti after few minutes. While we were sitting in the crowd, one of the organiser walked up to us and said, “you can be in the front and do Shej Arti for your Baba statue also”. We felt at the top of the world as we had seen people getting chance to do Aarti, hold Chavar, Aarti lamps for Baba. That certainly made them happier than others in the crowd and today Baba was giving us this chance too. Happily we moved to the front row, where our Baba’s small statue was placed on a plate, decorated with flowers, rice, kumkum etc and placed in the center of the hall and we were given a chance to hold Aarti lamp and sing Baba’s Shej Aarti. We felt Baba smiling at us and giving us a warm welcome to Auckland. It was an amazing feeling that we cannot explain in words. Few hours back, we were thinking about ways to find one Baba’s Murti for our home, and at the same time, Baba had planned to come to our small home temple with full Baja-Gaja (Pomp and Show). After this, we brought Baba to our home, where He sits and with His grace, within few days, we could find little lamp that we now light every-day in our home temple. This was a very special moment, which we would enjoy our whole life. After a few days, we received a mail invite for Baba’s temple Bhoomi Pujan and the organisers were giving devotees a chance to donate a brick that would be placed under His feet after the Bhoomi Pujan. The donation money too by Baba’s grace was very affordable for us. I and my husband were happy for this life-time opportunity and Baba’s grace for this chance. So we paid for two bricks and requested organisers to place two bricks from our side at His holy feet. Since Bhoomi Pujan ceremony was on Saturday, we decided to go there also to watch the happenings of the day. We will always be grateful to Baba for giving us this thought of going and watching the ceremony ourselves. If we had not gone, we would have missed something, which we could have never dreamt of doing. When we arrived at the venue, we saw that the organisers were asking devotee-donors to place the donated bricks with their own hands. We were amazed at Baba’s plan and kindness. We took two bricks and placed that at the foundation site. This was a feeling, which was beyond words and Baba’s children can just feel the emotions of the moment. Om Sai Ram. We were almost frozen while all this was happening. Later, we shared this incident with our family and they were so happy that Baba is residing in our heart, mind and home. These two incidents have given us a life time memorable moments, which we thought of sharing with all other devotees so that the happiness of this multiplies many folds. I wish I should forget about my desires and worries that are un-ending in this human life and should only remember His holy feet and His blessings. Also, before I pen off, I would like to specially mention that the Organisers of the Shirdi Sai Baba Temple, Auckland, NZ are doing a beautiful service in the feet of Baba here and with their hard work and by Baba’s grace, we all will soon see a beautiful temple here for which we all are eagerly waiting. I request all devotees to pray Baba for success of their efforts. May Baba bless all His children and free them all of all worries and pains. Om Sai Ram. Anant Koti Brahmand Nayak Raja Dhiraj Yogi Raj Par Bhrahm Sri Sachidanand Sad Guru Sai Nath Maharaj Ki Jai. I think, if you didn't have the disappointment of not having Baba's temple, you wouldn't have the life time experience of placing the bricks on Bhoomi-puja day. Baba's plans are beyond human's imagination. I am also happy to read the news of having new temple of our beloved Baba in your city. May baba keep blessing everyone. Nice Experience Sai Sisterji. THanks for sharing with us. Om Sai Ram. Om Sai Ram. Om Sai Ram. Om sai Ram. Om Sai Ram. Om Sai Ram. Om sai Ram. Om Sai Ram. Om Sai Ram. Great experience! Nice sharing! You are the blessed soul of Baba.OM SAI SRI SAI JAI JAI SAI OM SAI SRI SAI JAI JAI SAI OM SAI SRI SAI JAI JAI SAI OM SAI SRI SAI JAI JAI SAI OM SAI SRI SAI JAI JAI SAI!!! Dear sai devotee from Auckland, New Zealand. Very inspiring experiences. I strongly feel that BABA is always with HIS devotees even if we don't know or ask HIM to be there! One of my co-worker being rude and very disrespectful to me for no reason leaves hurt feeling in my heart. He is now even got promoted and is our "operations Manager" so it is even harder to deal with him. In the past I had complained when he crossed the border, but the GM at that time is now replaced. It does not look good on my part if I complain about him to the management every now n' than! Well, since last few days I enter my job place with a prayer thought on my mind, that BABA, I do not hurt or disrespect any body and the same way I do not want to get hurt by others. So YOU need to take care of this problem, and to my surprise my working at the job place goes very calmly, even if that Ops. Mgr. is present and not only that but incidences happen in such a way that my performance shine in the eyes of my new GM! Seeking BABA's protection and it's working in my day to day life really makes me THANK BABA for everything. you & your family are very lucky for the opportunity you have got. you people are blessed by our baba. and show the right path to lead their lives. Thanks for sharing the experience. Akhilanda Koti Brahmanda Nayaka Samardha Sadguru Sai Nadha Maha Raja. Thanks for reading my experience and Hetalji many thanks for publishing this. In fact, since few days I was so worried over some other wordly matters but reading my own experience with Baba gave me strength and refuelled my faith in him. I bow to his lotus feet for his blessings and love. Very wonderful experience! Baba does always give us very nice and memorable moments, for which we have the memories for the rest of our lives. I hope you and the other Baba devotees in Auckland, New Zealand will continue to develop a nice temple there for Baba. Om Sai Ram! I am desperately looking for work from home jobs. Pls help me to get a good genuine work from home jobs. Kindly do this favour for me pls. MAY BABA Bless you! !Thanks for sharing amazing experience. You are absolutely true.none could stay with out getting tears after reading this..BABA is really great..he lives in every devotee's heart..